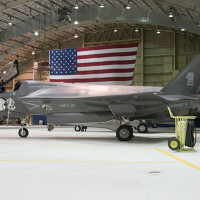 Could flying faster save the Air Force fuel? 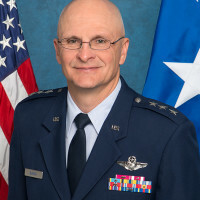 On a Sunday morning just outside of Anchorage, Alaska, a group of Hawaii Air National Guard fighter pilots gathered around a desk at Joint Base Elmendorf-Richardson to hear the day's operational briefing after three weeks of training at Red Flag Alaska. A B-1B Lancer that achieved rotational milestones is scheduled to leave Al Udeid Air Base soon for a six-month hiatus for aircraft modifications stateside. 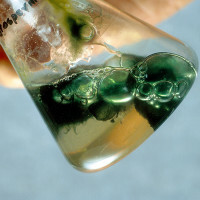 While people who go to the beach and lakes may think of algae as a slimy nuisance, Picatinny engineers have partnered with private industry to harness its photosynthesis ability to develop a safe, cheap, fast and environmentally-friendly way to recycle aging M6 artillery round propellant and create biofuel. 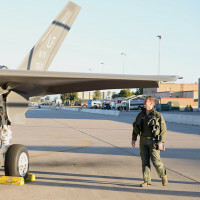 A 61st Fighter Squadron pilot made history Feb. 2 as the first Luke Air Force Base, Ariz., pilot to achieve 500 flight hours in an F-35 Lightning II. 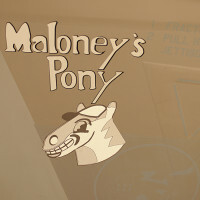 The 411th Flight Test Squadron got a first-hand look at a legend in June and November of 2015 when F-22 tail number 09-0174 "Maloney's Pony" landed at Edwards. 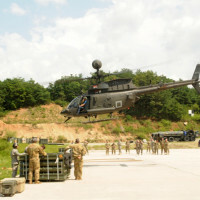 Soldiers from the 2nd Infantry Division/Republic of Korea - U.S. combined division and its rotational elements highlighted the critical roles they play in strengthening the ROK-U.S. alliance, countering emerging threats and ensuring stability in the region, during Secretary of the Army Eric Fanning's visit to Camp Casey, Aug. 3. 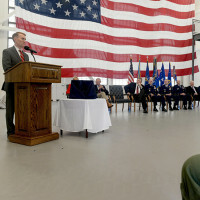 A new training center for the KC-46 Pegasus was officially dedicated at Altus Air Force Base, Okla., Aug. 30, 2016, along with the activation of the 56th Air Refueling Squadron, which will be the formal training unit for the Air Force’s next-generation refueling aircraft. 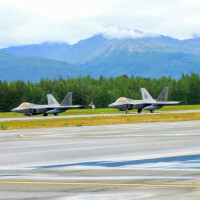 On any giving day at Joint Base Elmendorf-Richardson, Alaska, you can hear sound of freedom as the F-22 Raptors circle the mountains and come in for a landing. There was a different tone to that sound Jan. 9, 2017 as the Marine F-35B Lightening II fighter jets joined the orchestration.